When I thought of that title, parang "Almost Christmas!" ang nafifeel ko. May countdown na nagaganap, may tradition vibe, may reunion of some sort, and syempre, only merriment and joy ang feeling! 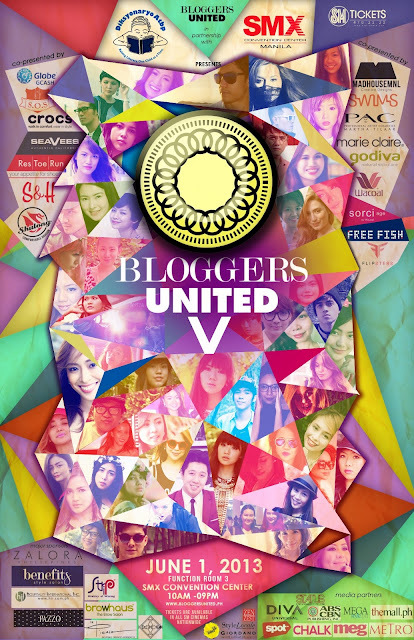 I am so excited to present to your guys Bloggers United 5! Every after BU, although leaving me dead tired and with sore feet, no fail ang sarap sarap ng feeling ko after. I can't wait to make new BU memories with bloggers and readers and shoppers and our supportive sponsors and guests this June 1 at the SMX Convention Center, Function Room 3! Giving away TWENTY tickets to the affair! Thank you guys and see you soon!